Professor Newton’s research interests range from effective communication in science and strategies that support teaching for understanding in science to exploring understanding, enagagement and creativity across the curriculum. She has researched teaching for understanding across the primary curriculum and the use of analogical reasoning to support the construction of understanding, and most recently teaching for creativity and productive thought. This is the focus of her book, Creativity for a new Curriculum: 5-11 (Routledge, 2012). 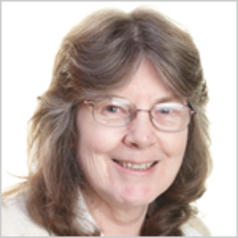 She has written, edited or co-authored over a dozen books on science teaching, primary teaching and professional studies in the primary school. She has also written over one hundred academic and professional papers on these areas. Her research monograph, From Creative Thinking to Productive Thought (ICIE: Paris, 2013) presented a model for incorporating creative thinking into a wider framework of productive thought. Her keynote presentation at the ICIE conference in Krakow (2015) resulted in her latest monograph, Questioning: A Window on Productive Thinking. She is currently a member of the University's Durham Commission, reporting on creativity.